As Manitoba's minister of families was questioned in the legislature Wednesday about the death of a baby in foster care, the four-month-old's grieving parents were still waiting to see their child, two days after her death. "No one knows … if anything was actually done for these children in care," said Bernadette Smith, NDP MLA for Point Douglas, in question period Wednesday. "The minister's accountable and she's ultimately responsible. Is the minister planning to continue to place children in B & L agency?" In total, 170 homes were involved in the review which included interviews with 409 foster children and a check to make sure all foster home licenses are up to date. A three-month moratorium banning the placement of children in B & L homes, which began after Green was taken into care, was lifted on March 11. "The member opposite is just wrong," Families Minister Heather Stefanson, shot back. "Immediately upon finding out these allegations, we took immediate action and I put the deputy minister in charge of a review that took place with respect to B & L immediately. We didn't take time to sit down and write out terms of reference or anything else. We made sure that we ensured that all of those children were safe." "This is an absolute tragedy. Any death of a child in our province and anywhere is an absolute tragedy. This matter remains before the chief medical examiner and we will await the results of his report," she said. 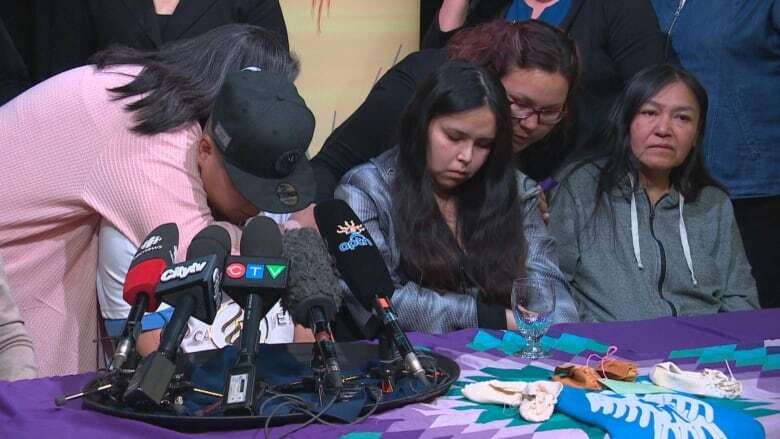 Vanatasia Green's parents, Daralyn Green, 21, and Reggie Kennedy, 31, told media on Tuesday that CFS workers came to their house in Bloodvein First Nation on Monday to tell them their daughter died after appearing to have choked on formula or vomit. 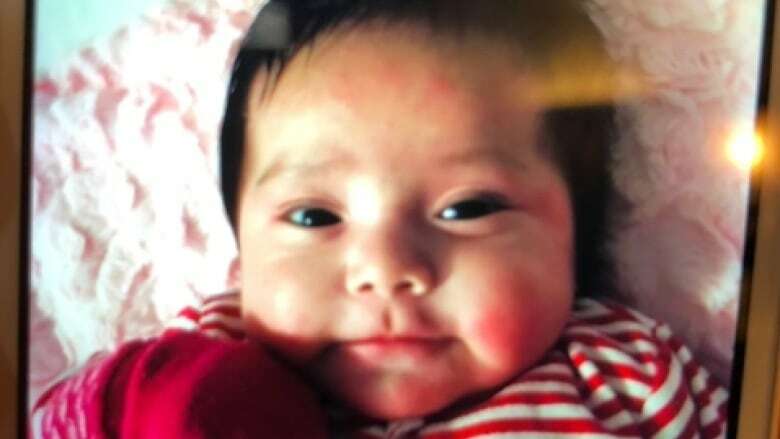 Vanatasia's parents said she was apprehended shortly after her birth on Nov. 6 and was placed into CFS care in Winnipeg, but had intermittent visits with them on Bloodvein First Nation. While they did not say why their daughter was taken into care, Daralyn Green said she was "happy and healthy" when they last saw her on Friday after a week-long visit. An autopsy on the baby's body was completed Wednesday, according to an advocate for the family, who said the family would be able to see her at the funeral home on Thursday evening. She added the parents yearn to speak with the foster parents about what could have happened. "We know that the CF agency and the authority responsible for the child's care are gathering information to find the family the answers that it needs," said Stefanson in question period. The director of the office of the chief medical examiner, Mark O'Rourke, told CBC the report could take up to six months to complete. Winnipeg police are also investigating the child's death, as is standard when children die in the city. A spokesperson for the province said the Southern First Nations Network of Care was the governing authority for the agency involved, but would not provide the name of the agency. The spokesperson added foster parents in Manitoba have access to CPR training, including safe sleep practices for infants, provided by authorities and agencies, although the training is not mandatory. B & L Resources for Children, Youth and Families did not respond to the CBC's request for comment. During question period, Smith pressed Stefanson to conduct another review of B & L. Liberal MLA Judy Klassen called for a stop to all CFS apprehensions and said she planned to meet with Vanatasia Green's family this week. Minister Stefanson reiterated that the province is waiting on the chief medical office's report, and expressed her condolences to the family and caregivers involved in Vanatasia's life. "We all grieve with the family at this horrible time." The family plans to bring their daughter home to Bloodvein First Nation this weekend.